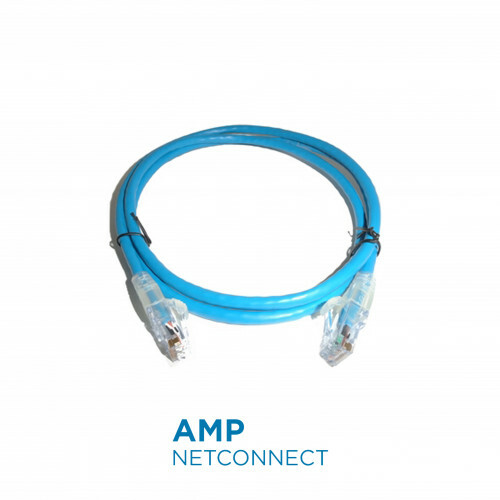 AMP NETCONNECT Category 6 patch cable assemblies exceed the TIA/EIA-568-B.2-1, TIA/EIA 568-C, ISO/IEC11801:2002 Class E requirements for Category 6/Class E, IEC 61156-6, IEC 60603-7, EN 50288-6-2 performanceThe AMP NETCONNECT Category 6 System complies with all of the performance requirements for current andproposed applications such as 1000 Base-T (Gigabit Ethernet), 10/100BASE-Tx, token ring, 155 Mbps ATM, 100Mbps TP-PMD, ISDN, analog (Broadband, Baseband) and digital video and analog and digital (VoIP) voice. Patentedmanufacturing techniques create consistent performance superior to standard cable assemblies. AMP NETCONNECTCategory 6 patch cable assemblies are manufactured using colored, stranded cable and transparent SL Boot. Patch cable assemblies shall be constructed using selective area hard gold-plated modular plugs, wired to the T568Bwiring pattern. The cable assemblies shall utilize colored cable and transparent SL boots Cable assemblies shalcomply with TIA/EIA 568-C Category 6 performance requirements and shall be backed by a 25-year system warrantyprovided by the manufacturer to the customer. Cable assemblies shall be [gray, white, yellow, blue, green, blackorange or red] in color and LSZH (Low Smoke Zero Halogen) jacket.